It’s one of the challenges of starting a blog that you hope it will lead you to other things then those other things keep leading you away from your blog. Last month, a perfect storm of deadlines and travel kept me from posting as often as I would like. Rather than come back empty handed again, I’d like to have a little more to show for my long absences. I met chef Katie Button at this year’s SOBEWFF and I was so happy to interview her for The Latin Kitchen. I knew she had a great back story – neuroscientist, sorcerer’s apprentice at el bulli, travel through Spain where she met her boyfriend then husband then business partner – but what really captured my imagination was her description of Asheville, NC. It’s where she and her family have set down roots and opened their glowingly reviewed tapas bar Cúrate and prohibition style Nightbell and I can only think of it as Brooklyn in the mountains. 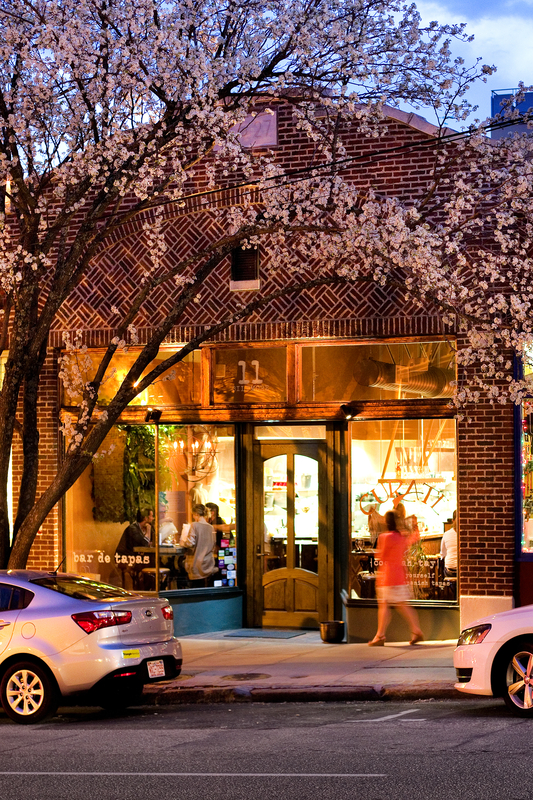 Also, I love this picture of the cherry blossoms that canopy over the restaurant’s front door.